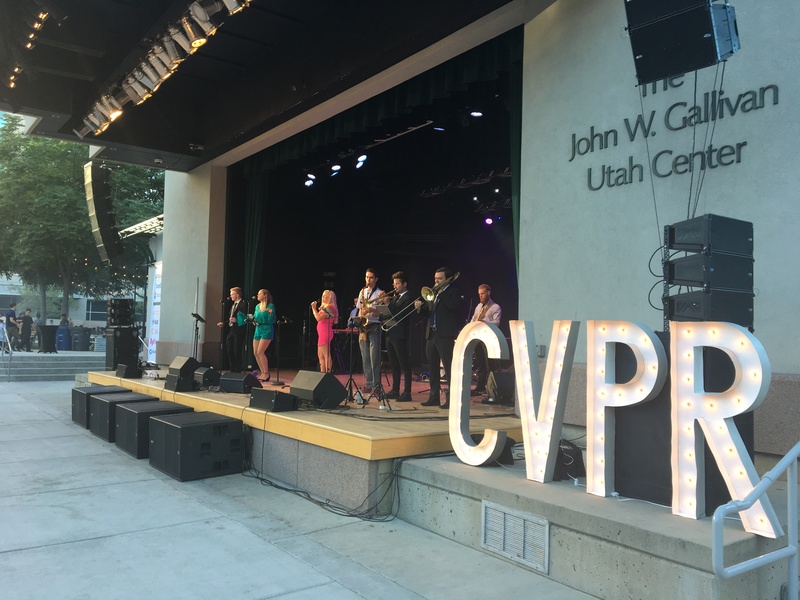 I was at CVPR in salt lake city. This year there were more then 6500 attendances and a record high number of accepted papers. People were definitely struggling to see them all. 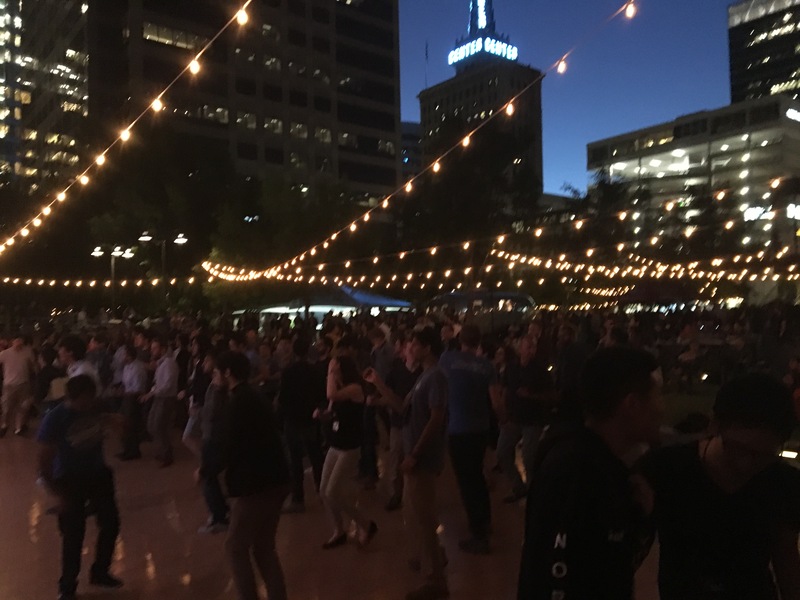 It was a little disappointing that there were no keynote speakers, but among the 9 major conferences I have been to, this one has the best dance party (see image below). You never know how many computer scientists can dance until you give them unlimited alcohol. 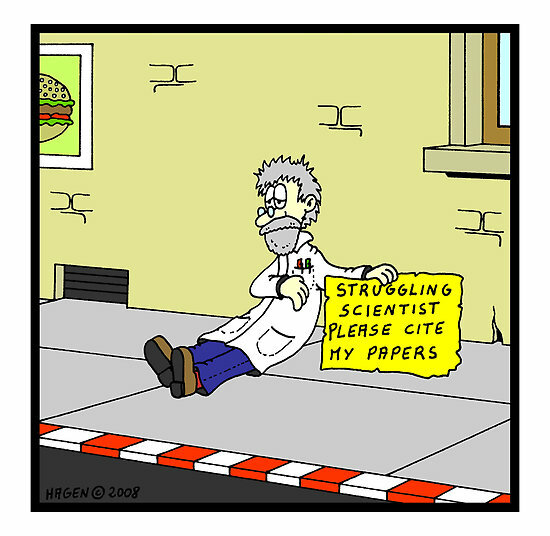 In this post I am going to talk about a few papers that were not the most popular ones but were what I personally found interesting. If you want to know the papers that the reviewers though were interesting instead, you can look into the best paper “Taskonomy: Disentangling Task Transfer Learning” and four other honorable mentions including the “SPLATNet: Sparse Lattice Networks for Point Cloud Processing” from collaborations between Nvidia and some people in the vision lab at UMass Amherst which I am in. I am quite fond of works that explore cues in the world that may be useful for unsupervised learning. Traditional deep learning approaches requires large amount of labeled training data but we humans seem to be able to learn from just interacting with the world in an unsupervised fashion. In this paper, the direction of time is used as a clue. The authors train a neural network to distinguish the direction of time and show that such network can be helpful in action recognition tasks. This is another example of using cues available in the world. In this work, the authors ask whether a machine can learn the correspondence between visual scene and sound, and localize the sound source only by observing sound and visual scene pairs like humans? This is done by using a triplet network that tries to minimize the difference between visual feature of a video frame and the sound feature generated in a similar time window, while maximizing the difference between the same visual feature and a random sound feature. As you can see in the figure above, the network is able to associate different sounds with different visual regions. This work is inspired by experiments done by Quiroga et al. that found a single neuron in one human subject’s brain that fires on both pictures of Halle Berry and texts of Halle Berry’s name. In this paper, the authors show that training a deep sparse coding network that takes a face image and a text image of the corresponding name results in learning a multimodal invariant neuron that fires on both Halle Berry’s face and name. When certain modality is missing, the missing image or text can be generated. In this network, each sparse coding layer is learned through the Locally Competitive Algorithm (LCA) that uses principles of thresholding and local competition between neurons. Top down feedback is also used in this work through propagating reconstruction error downwards. 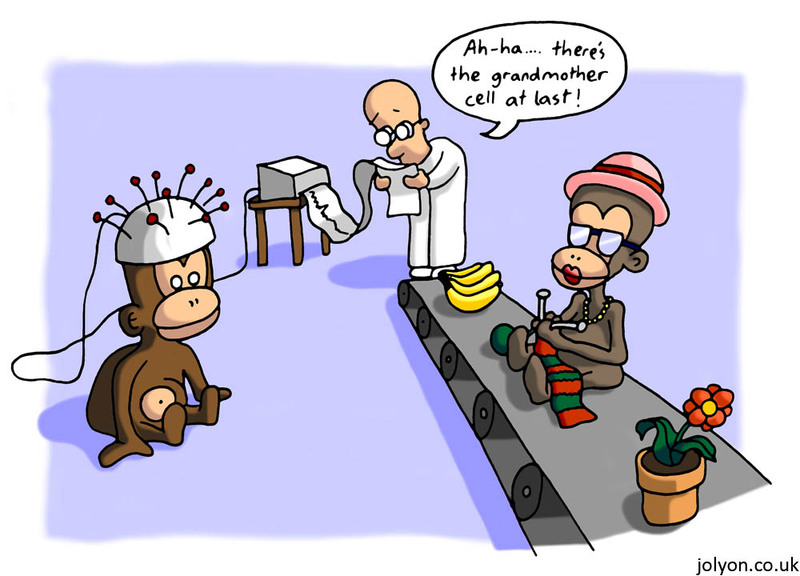 The authors show interesting results where adding information to one modality changes the belief of the other modality. 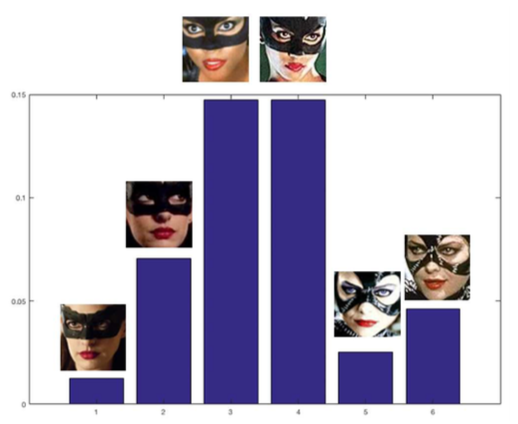 The figure above shows that this Halle Berry neuron in the sparse coding network can distinguish between cat women acted by Halle Berry versus cat women acted by Anne Hathaway and Michele Pfeiffer. Super resolution is a task that tries to increase the resolution of an image. The typical approach nowaday is to learn it through a neural network. However, the author showed that this approach only works well if the down sampling process from the high resolution to the low resolution image is similar in training and testing. In this work, no training is needed beforehand. Given a test image, training examples are generated from the test image by down sampling patches of this same image. The fundamental idea of this approach is the fact that natural images have strong internal data repetition. Therefore, from the same image you can infer high resolution structures of lower resolution patches by observing other parts of the image that have higher resolution and similar structure. The image above shows their results (top row) versus state of the art results (bottom row). 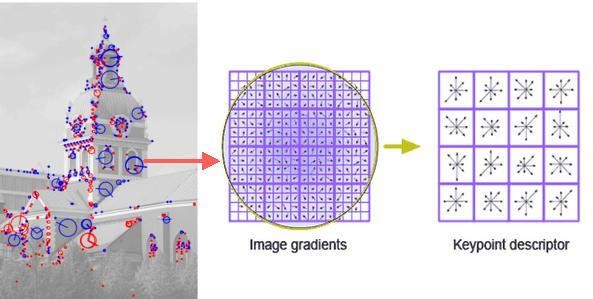 Most modern approaches for denoising, super resolution, or inpainting tasks use an image generation network that trains on a large dataset that consist of pairs of images before and after the affect. This work shows that these nice outcomes are not just the result of learning but also the effect of the convolutional structure. The authors take an image generation network, feed random noise as input, and then update the network using the error between the outcome and the test image, such as the left image shown above for inpainting. After many iterations, the network magically generates an image that fills the gap, such as the right image above. What this works says is that unlike common belief that deep learning approaches for image restoration learns image priors better then engineered priors, the deep structure itself is just a better engineered prior. In this post I am going to talk about the progression of a few deep learning approaches for object detection. I will start from R-CNN and OverFeat (2013) then gradually move to more recent approaches such as the RetinaNet which won the best student paper in ICCV 2017. 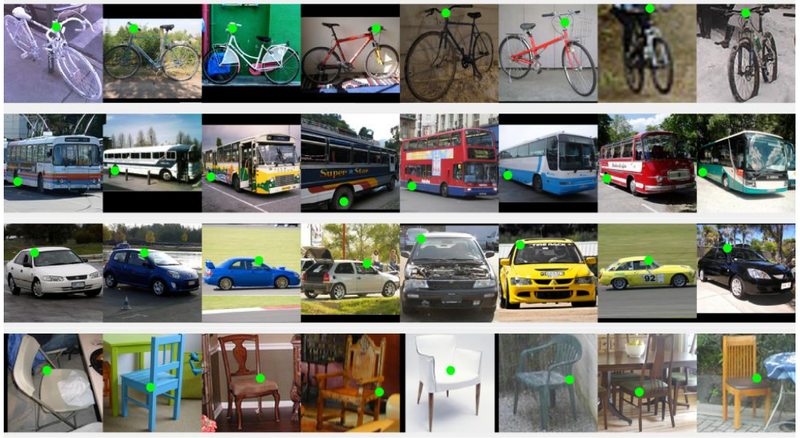 Object detection here refers to the task of identifying a limited set of object classes (20 ~ 200) in a given image by giving each identified object a bounding box and a label. This is one of the main stream challenges in Computer Vision which requires algorithms to output the locations of multiple object in addition to corresponding class. Some of the most well known datasets are the PASCAL visual object classes challenge (2005-2012) funded by the EU (20 classes ~10k images), the ImageNet object detection challenge (2013 ~ present) sponsored by Stanford, UNC, Google, and Facebook (200 classes ~500k images) , and the COCO dataset (2015 ~ current) first started by Microsoft (80 classes ~200K images). These datasets provide hand labeled bounding boxes and class labels of objects in images for training. Challenges for these datasets happen yearly; teams from all over the world submit their code to compete on an undisclosed test set. In December 2012, the success of Alexnet on the ImageNet classification challenge was published. While many computer vision scientist around the world were still scratching their head trying to understand this result, several groups quickly harvested techniques implemented in Alexnet and tested it out. Based on the success of Alexnet, in November 2013 the vision group in Berkeley published (on arxiv) an approach for solving the object detection problem. This proposed R-CNN is a simple extension that extends the Alexnet that was designed to solve the classification problem to handle the detection problem. R-CNN is composed of 3 parts, 1) region proposal: where selective search is used to generate around 2000 possible object location bounding boxes, 2) feature extraction: Alexnet is used to generate features, 3) classification: a SVM (support vector machine) is trained for each object class. This hybrid approach successfully outperformed previous algorithms on the PASCAL dataset by a significant margin. Around the same time (December 2013), the NYU team (Yann LeCun, Rob Fergus) published an approach called OverFeat. OverFeat is based on the idea that convolutions can be done efficiently on dense image locations in a sliding window fashion. The fully connected layers in the Alexnet can be seen as 1×1 convolution layers. Therefore, instead of generating a classification confidence for a cropped fix size image, OverFeat generates a map of confidence on the whole image. To predict the bounding box a regressor network is added after the convolution layers. 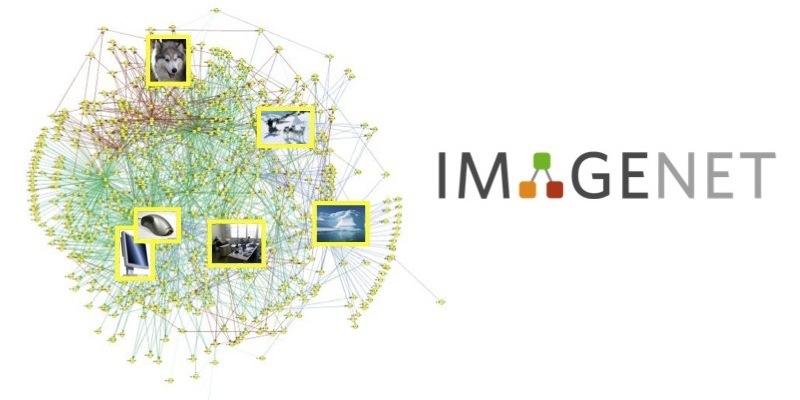 OverFeat was at the 4th place during the 2013 ImageNet object detection challenge but claimed to have better then 1st place result with longer training time which wasn’t ready in time for the competition. Since then, a lot of researches expanded based on concepts introduced in these work. The SPP-net is an approach that speeds up the R-CNN approach up to 100x by performing the convolution operations just once on the whole image. (note that OverFeat does convolution on images of different scale) The SPP-net adds a spatial pyramid pooling layer before the fully connected layers. This spatial pyramid pooling layer transforms an arbitrary size feature map into a fixed size input by pooling from areas separated by grids of different scale. However, similar to R-CNN, SPP-net requires multistep training on feature extraction and the SVM classification. Fast R-CNN came across to address this problem. Similar to R-CNN, Fast R-CNN uses selective search to generate a set of possible region proposals and by adapting the idea of SPP-net, feature map is generated once on the whole image and a ROI pooling layers extracts a fixed size features for each region proposal. A multi task loss is also used so that the whole network can be trained together in one stage. The Fast R-CNN can speed up R-CNN up to 200x and produce better accuracy. At this point, the region proposal process have become the computation bottleneck for Fast R-CNN. As a result, the “Faster” R-CNN addresses this issue by introducing the region proposal network that generates region proposals based on the same feature map used for classification. This requires a four stage training that alternates between these two networks but achieves a 5 frames per second speed. Image pyramid where images of multiple scales are created for feature extraction was a common approach used in features such as SIFT features to handle scale invariant. So far, most R-CNN based approaches does not use image pyramids due to the computation and memory cost during training. The feature pyramid network shows that since deep convolution neural networks are by natural multi-scale, a similar effect can be achieved with little extra cost. This is done by combining top-down information with lateral information for each convolution layer as shown in the figure below. By restricting the feature maps to have the same dimension, the same classification network can be used for all scales; this has a similar flavor to traditional approaches that use the same detector for images of different scales in the image pyramid. Till 2017, most of the high accuracy approaches on object detection are extensions of R-CNN that have a region proposal module separate from classification. Single stage approaches although faster, were not able to out perform in accuracy. The paper “Focal Loss for Dense Object Detection” published in ICCV 2017 discovers the problem with single stage approaches and proposed an elegant solution that results in faster and more accurate models. The lower accuracy among single stage approaches was a consequence of imbalance between foreground and background training examples. By replacing the cross entropy loss with the focal loss that down weights examples the network already has high confidence, the network improves substantially on accuracy. The figure below shows the difference between the cross entropy loss (CE) and the focal loss (FL). A larger gamma parameter puts less weight on high confidence examples. The references of approaches I mentioned is listed below. Note that I only talked about a small part of a large body of work on object detection and the current progress on object detection have been moving in a rapid speed. If you look at the current leader board for the COCO dataset, the numbers have already surpassed the best approach I have mentioned by a substantial margin. Girshick, Ross, Jeff Donahue, Trevor Darrell, and Jitendra Malik. “Rich feature hierarchies for accurate object detection and semantic segmentation.” In Proceedings of the IEEE conference on computer vision and pattern recognition, pp. 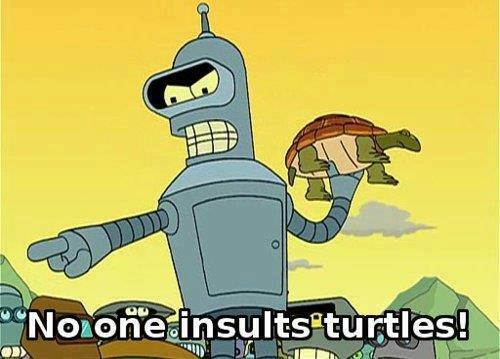 580-587. 2014. Sermanet, Pierre, David Eigen, Xiang Zhang, Michaël Mathieu, Rob Fergus, and Yann LeCun. “Overfeat: Integrated recognition, localization and detection using convolutional networks.” arXiv preprint arXiv:1312.6229 (2013). He, Kaiming, Xiangyu Zhang, Shaoqing Ren, and Jian Sun. “Spatial pyramid pooling in deep convolutional networks for visual recognition.” In european conference on computer vision, pp. 346-361. Springer, Cham, 2014. Girshick, Ross. “Fast r-cnn.” arXiv preprint arXiv:1504.08083(2015). Lin, Tsung-Yi, Piotr Dollár, Ross Girshick, Kaiming He, Bharath Hariharan, and Serge Belongie. “Feature pyramid networks for object detection.” In CVPR, vol. 1, no. 2, p. 4. 2017. Lin, Tsung-Yi, Priya Goyal, Ross Girshick, Kaiming He, and Piotr Dollár. “Focal loss for dense object detection.” arXiv preprint arXiv:1708.02002 (2017). Having TA’d for Machine Learning this semester and worked in the field of Computer Vision and Robotics for the past few years, I always have this feeling that the more I learn the less I know. Therefore, its sometimes good to just sit back and look at the big picture. This post will talk about how I see the relations between these three fields in a high level. First of all, Machine Learning is more a brand then a name. Just like Deep Learning and AI, this name is used for getting funding when the previous name used is out of hype. In this case, the name popularized after AI projects failed in the 70s. Therefore, Machine learning covers a wide range of problems and approaches that may look quite different at first glance. Adaboost and support vector machine was the hot topic in Machine Learning when I was doing my master’s degree, but now it is deep neural network that gets all the attention. Despite the wide variety of research in Machine Learning, they usually have this common assumption on the existent of a set of data. The goal is then to learn a model based on this set of data. There are a wide range of variations here, the data could be labeled or not labeled resulting in supervised or unsupervised approaches; the data could be labeled with a category or a real number, resulting in classification or regression problems; the model can be limited to a certain form such as a class of probability models, or can have less constraints in the case of deep neural network. Once the model is learned, there are also a wide range of possible usage. It can be used for predicting outputs given new inputs, filling missing data, generating new samples, or providing insights on hidden relationships between data entries. Data is so fundamental in Machine Learning, people in the field don’t really ask the question of why learning from data. Many datasets from different fields are collected or labeled and the learned models are compared based on accuracy, computation speed, generalizability, etc. Therefore Machine Learning people often consider Computer Vision and Robotics as areas for applying Machine Learning techniques. Robotics on the other hand comes from a very different background. There are usually no data to start with in robotics. If you cannot control your robot or if your robot crashes itself at first move, how are you going to collect any data. Therefore, classical robotics is about designing models based on physics and geometries. You build models that model how the input and current observation of the robot changes the robot state. Based on this model you can infer the input that will safely control the robot to reach certain state. Once you can command your robot to reach certain state, a wide variety of problems emerge. The robot will then have to do obstacle avoidance and path planning to reach certain goal. You may need to to find a goal state that satisfies a set of restrictions while optimizing a set of properties. Simultaneous localization and mapping (SLAM) may be needed if no maps are given. In addition, sensor fusion is required when multiple sensors with different properties are used. There may also be uncertainties in robot states where belief space planning may be helpful. 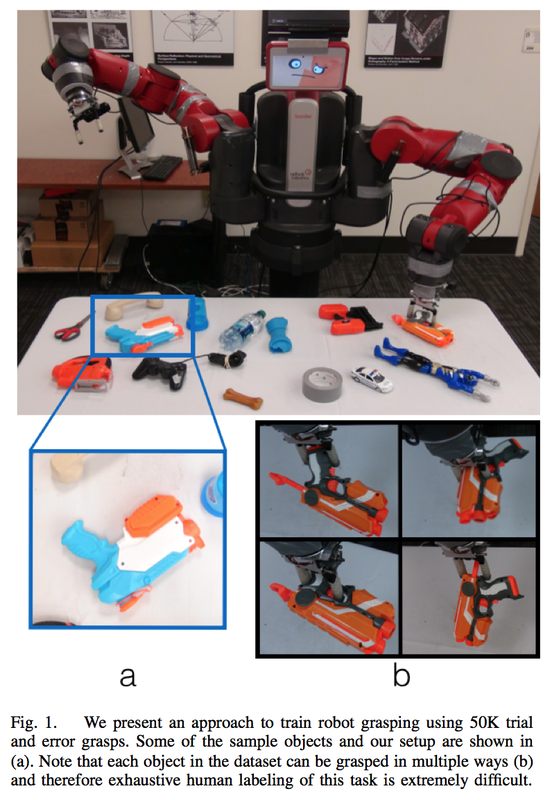 For robots with a gripper, you may also need to be able to identify stable grasps and recognizing the type and pose of an object for manipulation. And of course, there is a whole different set of problems on designing the mechanics and hardware of the robot. Unlike Machine Learning, a lot of approaches of these problems are solved without a set of data. However, most of these robotics problems (excluding mechanical and hardware problems) share a common goal of determining the robot input based on feedback. (Some) Roboticists view robotics as the field that has the ultimate goal of creating machines that act like humans, and Machine Learning and Computer Vision are fields that can provide methods to help accomplish such goal. The field of Computer Vision started under AI in the 60s under the goal of helping robots to achieve intelligent behaviors, but left such goal behind after the internet era when tons of images on the internet are waiting to be classified. In this age, computer vision applications are no longer restricted to physical robots. In the past decade, the field of Computer Vision is driven by datasets. The implicit agreement on evaluation based on standardized datasets helped the field to advance in a reasonably fast pace (under the cost of millions of grad student hours on tweaking models to get a 1% improvement.) Given these datasets, the field of Computer Vision inevitably left the Robotics community and embraced the data-driven Machine Learning approaches. Most Computer Vision problems have a common goal of learning models for visual data. The model is then used to do classification, clustering, sample generation, etc. on images or videos. The big picture of Computer Vision can be seen in my previous post. Some Computer Vision scientists consider vision different from other senses and believe that the development of vision is fundamental to the evolution of intelligence (which could be true… experiments do show 50% of our brain neurons are vision related.) Nowadays, Computer Vision and Machine Learning are deeply tangled; Machine Learning techniques help foster Computer Vision solutions, while successful models in Computer Vision contribute back to the field of Machine Learning. For example, the successful story of Deep Learning started from Machine Learning models being applied to the ImageNet challenge, and end up with a wide range of architectures that can be applied to other problems in Machine Learning. On the other hand, Robotics is a field where Computer Vision folks are gradually moving back to. Several well known Computer Vision scientists, such as Jitendra Malik, started to consider how Computer Vision can help the field of Robotics ,since their conversation with Robotics colleagues were mostly about vision not working, based on the recent success on data-driven approaches in Computer Vision. 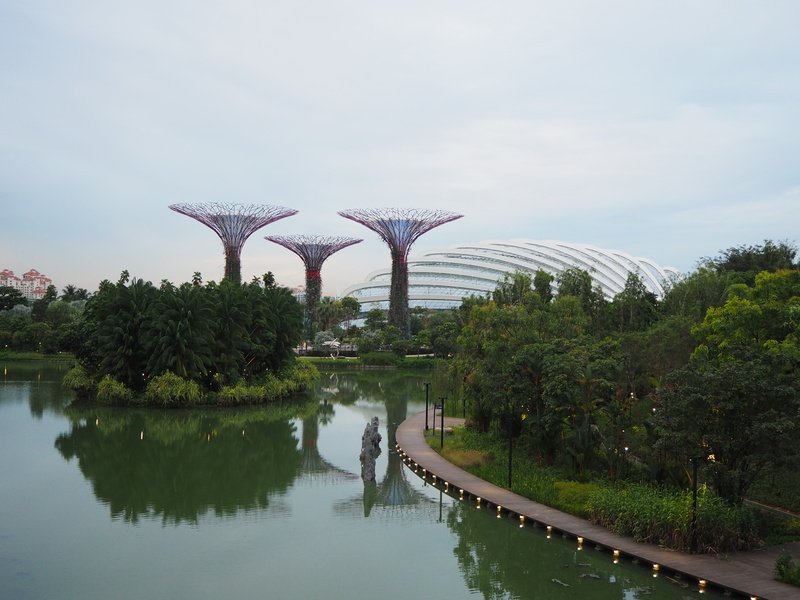 I was at ICRA (International Conference on Robotics and Automation) in Singapore to present one of my work this June. Surprisingly, the computer vision track seems to gain a lot of interest in the robotics community. The four computer vision sessions are the most crowded ones among all the sessions that I have attended. The following are a few papers related to computer vision and deep learning that I found quite interesting. In this work, a self-supervised learning approach is introduced for generating dense visual descriptors with convolutional neural networks. Given a set of RGB-D videos of Schmidt, the first author, wandering around, a set of training data can be automatically generated by using Kinect Fusion to track feature points between frames. A pixel-wise contrastive loss is used such that two points belong to the same model point would have similar descriptors. Kinect Fusion cannot associate points between videos, however with just training data within the same video, the authors show that the learned descriptors of the same model point (such as the tip of the nose) are similar across videos. This can be explained by the hypothesis that with enough data, a model point trajectory will inevitably come near to the same model point trajectory in another video. By chaining these trajectories, clusters of the same model point can be separated even without labels. The figure above visualizes the learned features with colors. Note that it learns a similar mapping across videos despite with no training signal across videos. 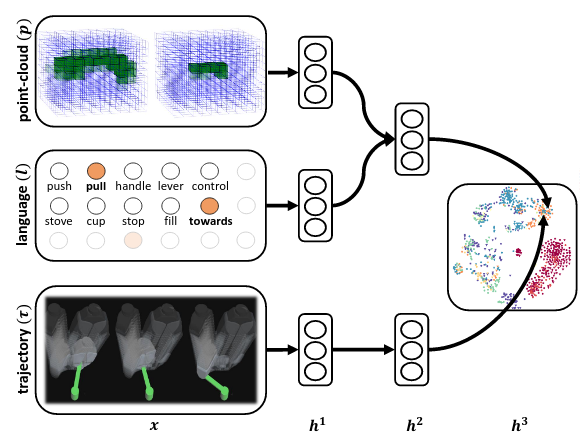 In this work, semantic keypoints predicted by convolutional neural networks are combined with a deformable shape model to estimate the pose of object instances or objects of the same class. 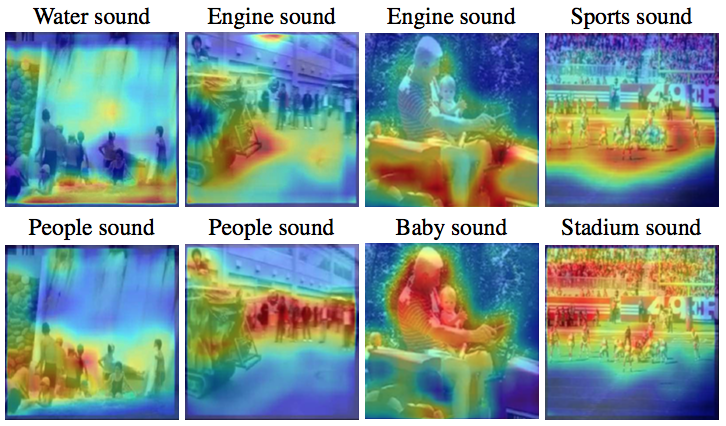 Given a single RGB image of an object, a set of class specific keypoints is first identified through a CNN that is trained on labeled feature point heat maps. A fitting problem that maps these keypoints to keypoints on the 3D model is then solved using a deformable model that captures different shape variability. 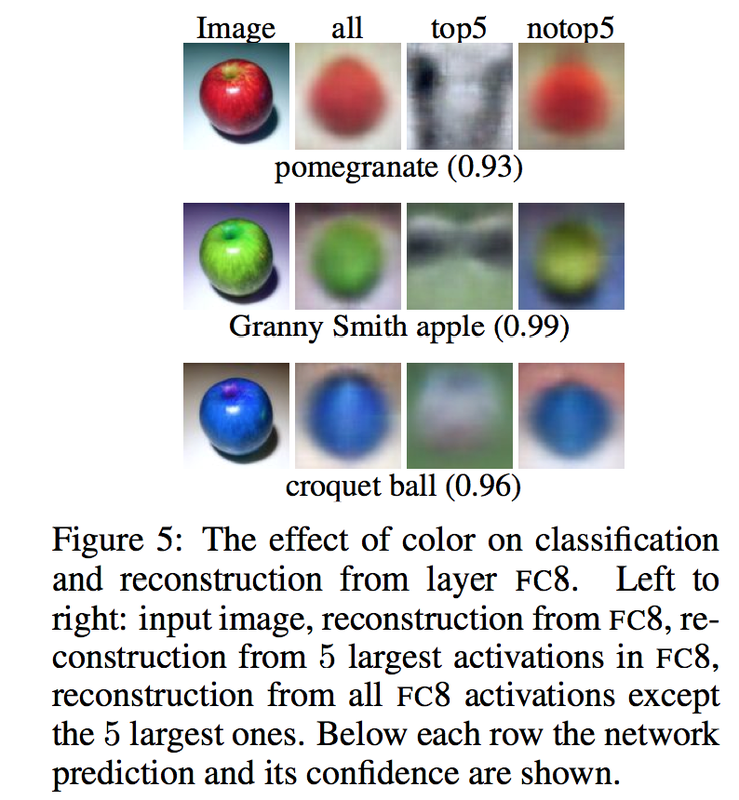 The figure above shows some pretty good results on recognizing the same feature of objects of the same class. The CNN used in this work is the stacked hourglass architecture, where two hourglass modules are stacked together. The hourglass module was introduced in the paper “Newell, Alejandro, Kaiyu Yang, and Jia Deng. Stacked hourglass networks for human pose estimation. ECCV, 2016.” An hourglass module is similar to a fully convolutional neural network but with residual modules, which the authors claim to make it more balanced between down sampling and up sampling. Stacking multiple hourglass modules allows repeated bottom up, top down inferences which improves on the state of the art performances. In this work, point cloud, natural language, and manipulation trajectory data are mapped to a shared embedding space using a neural network. For example, given the point cloud of an object and a set of instructions as input, the neural network should map it to a region in the embedded space that is close to the trajectory that performs such action. Instead of taking the whole point cloud as input, a segmentation process that decides which part of the object to manipulate based on the instruction is first executed. Based on this shared embedding space, the closest trajectory to where the input point cloud and language map to can be executed during test time. In order to learn a semantically meaningful embedding space, a loss-augmented cost that considers the similarity between different types of trajectory is used. The result shows that the network put similar groups of actions such as pushing a bar and moving a cup to a nozzle close to each other in the embedding space. In this work, a video prediction model that uses a convolutional LSTM (long short-term memory) is used to predict pixel flow transformation from the current frame to the next frame for a non-prehensile manipulation task. This model takes the input image, end-effector pose, and a future action to predict the image of the next time step. The predicted image is then fed back into the network recursively to generate the next image. This network is learned from 50000 pushing examples of hundreds of objects collected from 10 robots. For each test, the user specifies where certain pixels on an object should move to, the robot then uses the model to determine actions that will most likely reach the target using an optimization algorithm that samples actions for several iterations. Some of the results are shown in the figure above, the first column indicates the interface where the user specifies the goal. The red markers are the starting pixel positions and the green markers of the same shape are the goal positions. Each row shows a sequence of actions taken to reach the specified target. Generative Adversarial Nets: Your Enemy is Your Best Friend? Generating realistic images with machines was always one of the top items on my list of difficult tasks. Past attempts in the Computer Vision community were only able to get a blurry image at best. 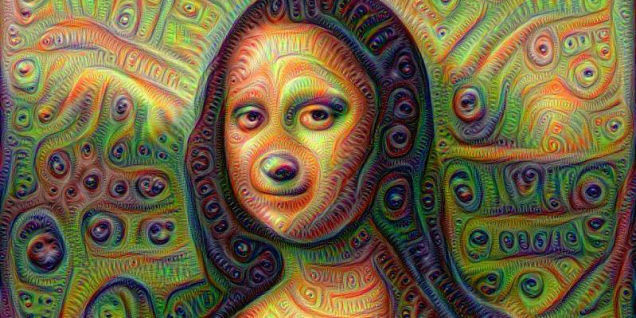 The well publicized Google Deepdream project was able to generate some interesting artsy images, however they were modified from existing images and were designed more to make you feel like on drugs then realistic. Recently (2016), a work that combines the generative adversarial network framework with convolutional neural networks (CNNs) generated some results that look surprisingly good. 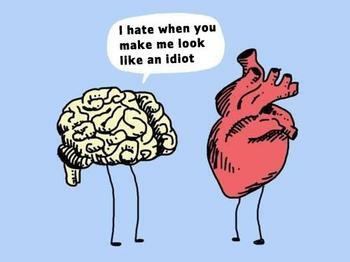 (A non vision person would likely not be amazed though.) This approach was quickly accepted by the community and was referenced more then 200 times in less then a year. This work is based on an interesting concept first introduced by Goodfellow et al. in the paper “Generative Adversarial Nets” at NIPS 2014 (http://papers.nips.cc/paper/5423-generative-adversarial-nets). 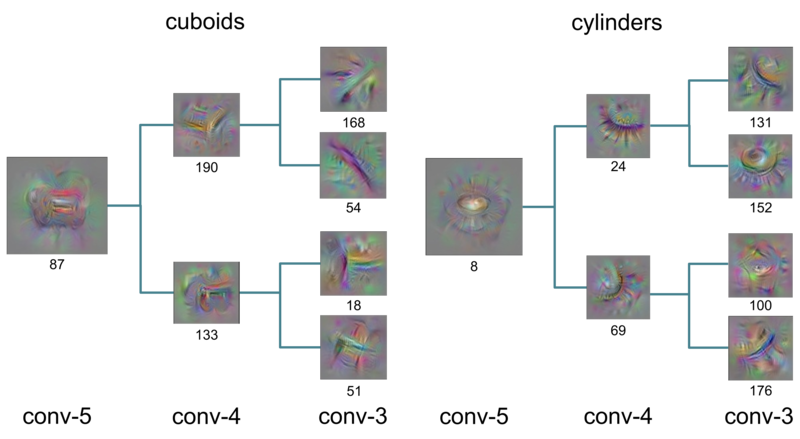 The idea was to have two neural networks compete with each other. One would try to generate images as realistic as it can and the other network would try to distinguish them from real images at its best. By theory this competition will reach a global optimum where the generated image and the real image will belong to the same distribution (Could be a lot trickier in practice though). This work in 2014 got some pretty good results on digits and faces but the generated natural images are still quite blurry (see figure above). 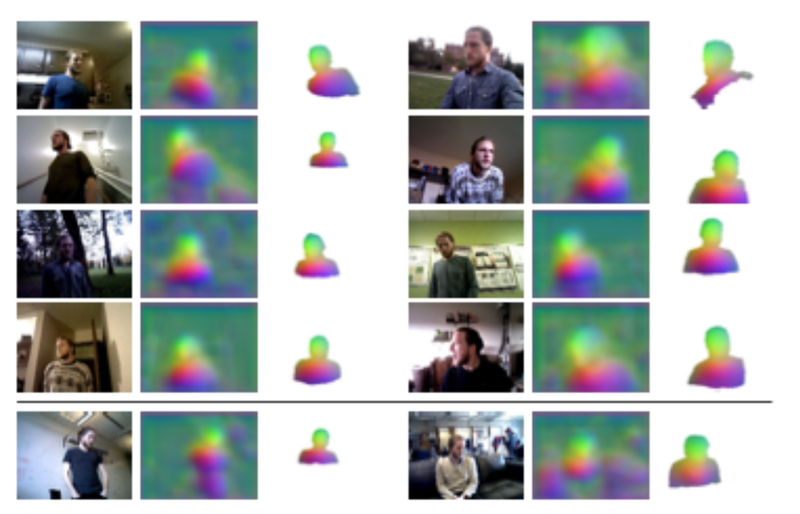 In the more recent work “Unsupervised Representation Learning with Deep Convolutional Generative Adversarial Networks” by Radford, Metz, and Chintala, convolutional neural networks and the generative adversarial net framework are successfully combined with a few techniques that help stabilize the training (https://arxiv.org/abs/1511.06434). Through this approach, the generated images are sharp and surprisingly realistic at first glance. 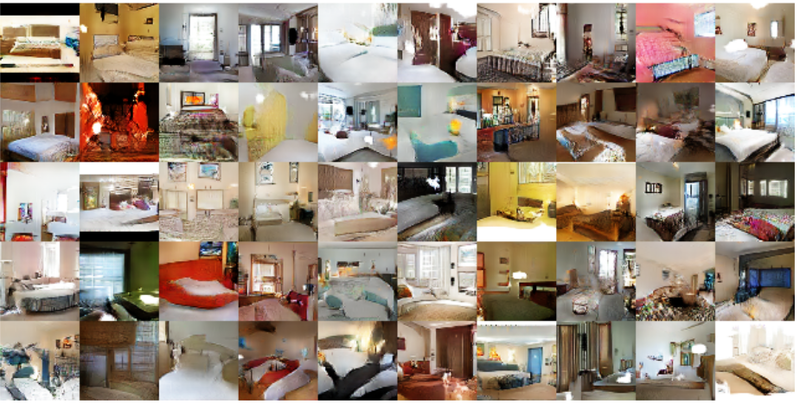 The figures above are some of the generated bedroom images. Notice that if you look closer some of them may be weird. The authors further explored what the latent variables represents. Ideally the generator (neural network that generates image) should disentangle independent features and each latent variable should represent a meaningful concept. By modifying these variables, images that have different characteristics can be generated. Note that these latent variables are what given to the neural network that generates images and is randomly sampled from a uniform distribution in the previous examples. In the figure above is an example where the authors show that the latent variables do represent meaningful concepts through arithmetic operations. 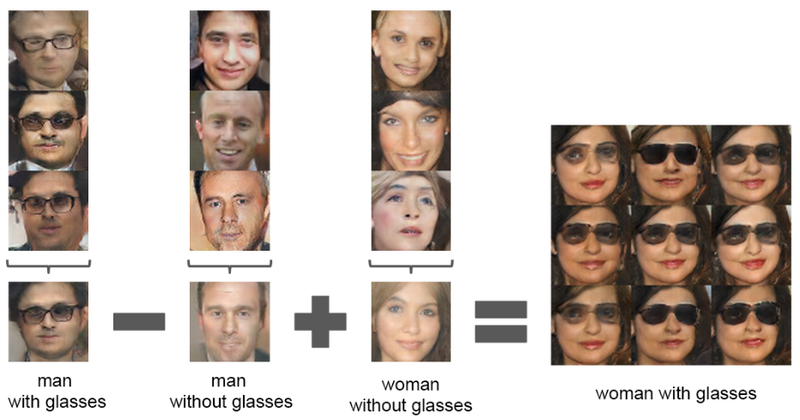 If you subtract the average latent variables of men without glasses from the average latent variables of men with glasses and add the average latent variables of women without glasses, you obtain a latent variable that result in women with glasses when passed through the generator. This process identifies the latent variables that represent glasses. In my previous post, I mentioned the obstacles when applying deep learning techniques directly to robotics. First, training data is harder to acquire; Second, interacting with the world is not just a classification problem. In this post, I am gonna talk about a really simple approach that treats convolutional neural networks (CNNs) as a feature extractor that generates a set of features similar to traditional features such as SIFT. This idea is applied to grasping on Robonaut 2 and published in arXiv (Associating Grasp Configurations with Hierarchical Features in Convolutional Neural Networks) with more details. The ROS package called ros-deep-vision that generates such features using a RGB-D sensor is also public. When we look at these deep models such as CNNs, we should keep in mind that these models work well because how the layers stack up hierarchically matches how the data is structured. Our observed world is also hierarchical, there are common shared structures such as edges that can be used to represent more complex structures such as squares and cubes when combined in meaningful ways. A simple view of CNN is just a tree structure, where a higher level neuron is a combination of neurons in the previous layer. For example, a neuron that represents cuboids is a combination of neurons that represent the corners and edges of the cuboid. The figures above show such examples on neurons that found to activate consistently on cuboids and cylinders. By taking advantage of this hierarchical nature of CNN, we can turn a CNN into a feature extractor that generates features that represents local structures of a higher level structure. For example, such hierarchical features can represent the left edge of the top face of a box while traditional edge detectors would find all edges in the scene. Instead of representing a feature with a single filter (neuron) in one of the CNN layers, this feature, which we call hierarchical CNN feature, uses a tuple of filters from different layers. Using backpropagation that restricts activation to one filter per layer allows us to locate the location of such feature precisely. 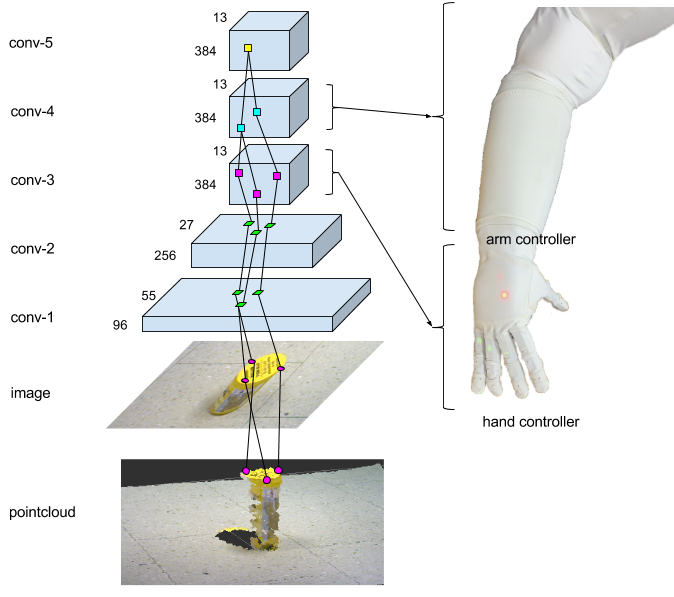 By finding features such as the front and back edge of the top face of a box we can learn where to place robot fingers relative to these hierarchical CNN features in order to manipulate the object. As I mentioned in my previous post, Deep Learning and Convolutional Neural Networks (CNNs) have gained a lot of attention in the field of computer vision and outperformed other algorithms on many benchmarks. However, applying these technics to robotics is non-trivial for two reasons. First, training large neural networks requires a lot of training data and collecting them on robots is hard. Not only do research robots easily have network or hardware failures after many trials, the time and resource needed to collect millions of data is also significant. 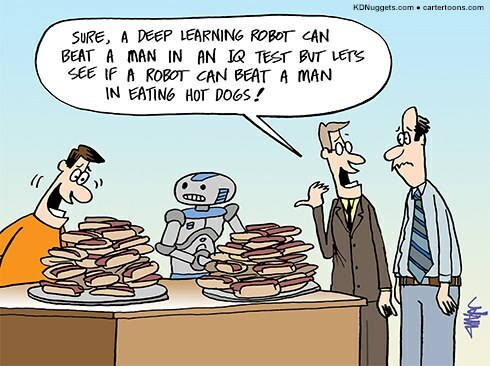 The trained neural network is also robot specific and cannot be used on a different type of robot directly, therefore limiting the incentive of training such network. Second, CNNs are good for classification but when we are talking about interacting with a dynamic environment there is no direct relationship. 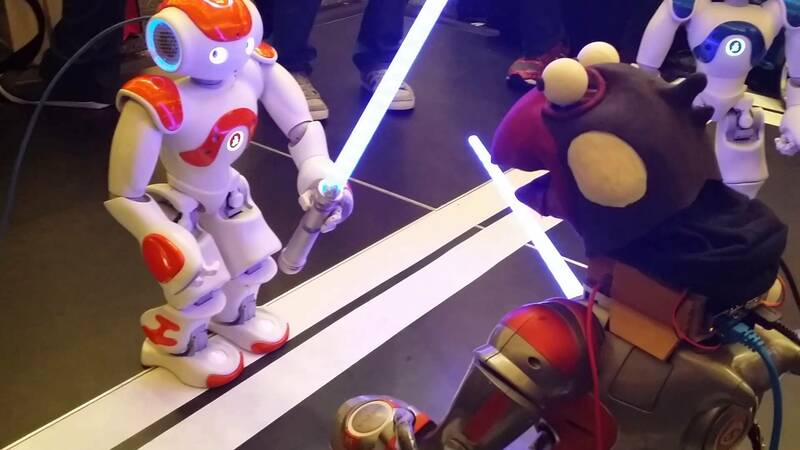 Knowing you are seeing a lightsaber gives no indication on how to interact with it. Of course you can hard code this information, but that would just be using Deep Learning in computer vision instead of robotics. Despite these difficulties, a few groups did make it through and successfully applied Deep Learning and CNNs in robotics; I will talk about three of these interesting works. Levine, Sergey, et al. “End-to-end training of deep visuomotor policies.” arXiv preprint arXiv:1504.00702 (2015). Finn, Chelsea, et al. 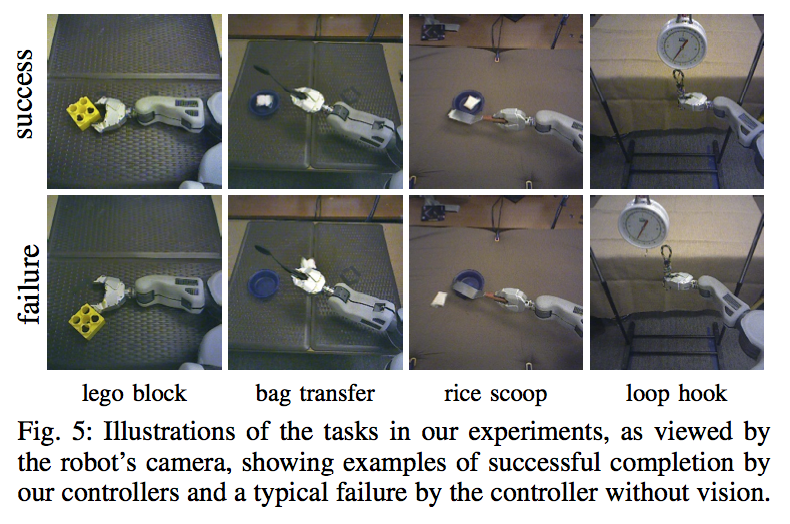 “Deep Spatial Autoencoders for Visuomotor Learning.” reconstruction 117.117 (2015): 240. Pinto, Lerrel, and Abhinav Gupta. 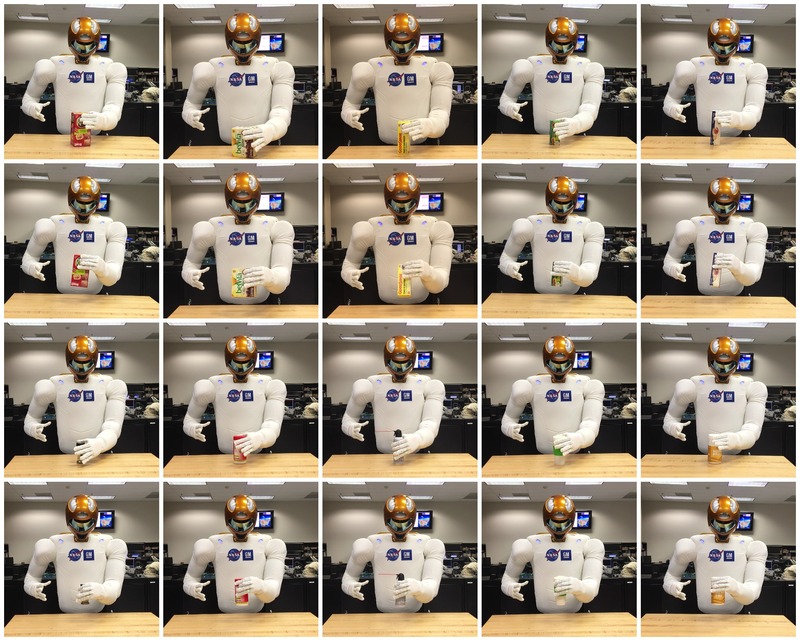 “Supersizing Self-supervision: Learning to Grasp from 50K Tries and 700 Robot Hours.” arXiv preprint arXiv:1509.06825 (2015). Traditional policy search approaches in reinforcement learning usually use the output of a “computer vision systems” and send commands to low-level controllers such as a PD controller. In the paper “end-to-end training of deep visuomotor policies”, Sergey, et al. try to learn a policy from low-level observations (image and joint angles) and output joint torques directly. The overall architecture is shown in the figure above. As you can tell this is ambitious and cannot be easily achieved without a few tricks. The authors first initialize the first layer with weights pre-trained on the ImageNet, then train vision layers with object pose information through pose regression. 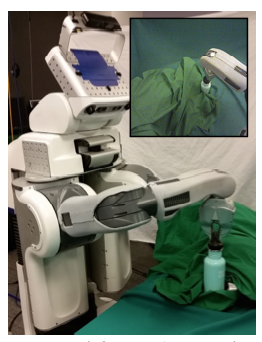 This pose information is obtained by having the robot holding the object with its hand covered by a cloth similar to the back ground (See figure below). In addition to that, using the pose information of the object, a trajectory can be learned with an approach called guided policy search. This trajectory is then used to train the motor control layers that takes the visual layer output plus joint configuration as input and output joint torques. The results is better shown then described; see video below. The second paper, “Deep Spatial Autoencoders for Visuomotor Learning”, is done by the same group in Berkeley. In this work, the authors try to learn a state space for reinforcement learning. Reinforcement learning requires a detailed representation of the state; in most work such state is however usually manually designed. This work automates this state space construction from camera image where the deep spatial autoencoder is used to acquire features that represent the position of objects. The architecture is shown in the figure below. The deep spatial autoencoder maps full-resolution RGB images to a down-sampled, grayscale version of the input image. All information in the image is forced to pass through a bottleneck of spatial features therefore forcing the network to learn important low dimension representations. The position is then extracted from the bottleneck layer and combined with joint information to form the state representation. The result is tested on several tasks shown in the figure below. As I mentioned earlier gathering a large amount of training data in robotics is hard, while in the paper “Supersizing Self-supervision: Learning to Grasp from 50K Tries and 700 Robot Hours” the authors try to show that it is possible. Although still not comparable to datasets in the vision community such as ImageNet, gathering 50 thousand tries in robotics is significant if not unprecedented. The data is gathered using this two arm robot Baxter that is (relatively) mass produced compared to most research robots. The authors then use these collected data to train a CNN initialized with weights trained on ImageNet. The final output is one out of 18 different orientation of the gripper, assuming the robot always grab from the top. The architecture is shown in the figure below. Agrawal, Pulkit, Ross Girshick, and Jitendra Malik. 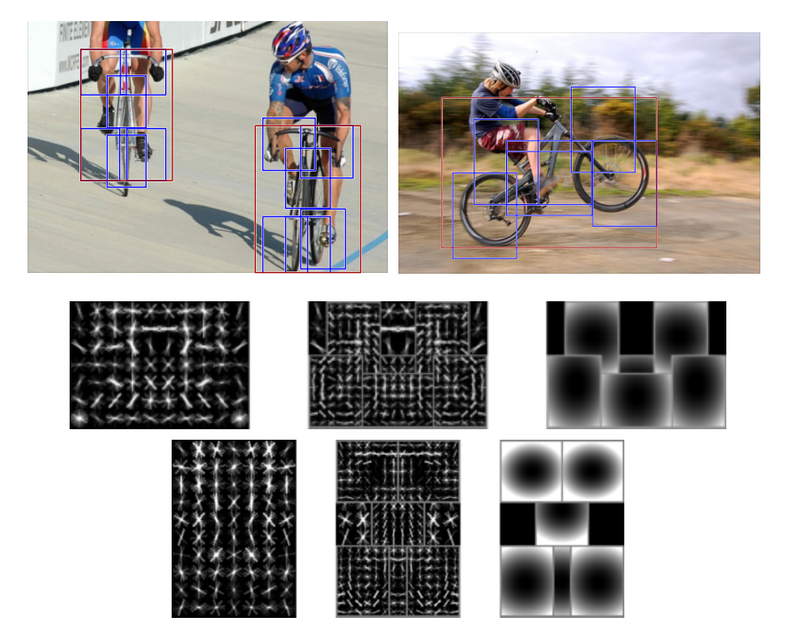 “Analyzing the performance of multilayer neural networks for object recognition.” Computer Vision–ECCV 2014. Springer International Publishing, 2014. 329-344. Hinton, Geoffrey, Oriol Vinyals, and Jeff Dean. “Distilling the knowledge in a neural network.” arXiv preprint arXiv:1503.02531 (2015). Dosovitskiy, Alexey, and Thomas Brox. 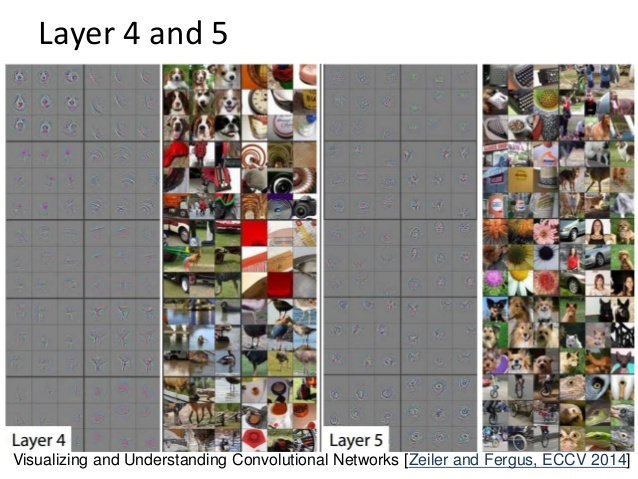 “Inverting convolutional networks with convolutional networks.” arXiv preprint arXiv:1506.02753 (2015). So why do we want to take insights from convolutional neural networks (CNN)? Like what I talked about in my previous post, In 2012, University of Toronto’s CNN implementation won the ImageNet challenge by a large margin, 15.3% and 26.6% in classification and detection by the nearest competitor. Since then CNN approaches have been leaders in most computer vision benchmarks. Although CNN doesn’t work like the brain, the characteristic that makes it work well might be also true in the brain. The grandmother cell is a hypothetical neuron that represents a complex but specific concept or object proposed by cognitive scientist Jerry Letvin in 1969. Although it is mostly agreed that the original concept of grandmother cell which suggests that each person or object one recognizes is associated with a single cell is biological implausible (see here for more discussion), the less extreme idea of grandmother cell is now explained as sparse coding. Before diving into CNN features we look into existing computer vision algorithms and see which camp they belong to. Traditional object recognition algorithms either are part-based approaches that use mid-level patches or use a bag of local descriptors such as SIFT. One of the well know part-based approaches is the deformable part model which uses HOG to model parts and a score on respective location and deformation to model their spatial relationship. Each part is a mid-level patch that can be seen as a feature that fires to specific visual patterns and mid-level patch discovery can be viewed as the search for a set of grandmother cell templates. On the other hand, unlike mid-level patches, SIFT like features represent low level edges and corners. This bag of descriptors approach uses a distributed code; a single feature by itself is not discriminative, but a group of features taken together is. There were many attempts to understand CNN more. One of the early work done by Zeiler and Fergus find locally optimal visual inputs for individual filters. However this does not characterize the distribution of images that cause a filter to activate. Agrawal et al. claimed that a grandmother cell can be seen as a filter with high precision and recall. Therefore for each conv-5 filter in the CNN trained on ImageNet they calculate the average precision for classifying images. They showed that grandmother cell like ﬁlters exist for only a few classes, such as bicycle, person, cars, and cats. The number of filters required to recognize objects of a class is also measured. For classes such as persons, cars, and cats few filters are required, but most classes require 30 to 40 filters. In the work done by Hinton et al. a concept called distillation is introduced. Distillation transfers the knowledge of a cumbersome model to a small model. For a cumbersome model, the training objective is to maximize the probability of the correct answer. A side effect is that it also assigns probabilities to incorrect answers. Instead of training on the correct answer, distillation train on soft targets, which is the probabilities of all answers generated from the cumbersome model. They showed that the small model performs better when trained on these soft targets versus when trained on the correct answer. This result suggests that the relative probabilities of incorrect answers tell us a lot about how the cumbersome model tends to generalize. On the other hand, Dosovitskiy et al. tried to understand CNN features through inverting the CNN. They claim that inverting CNN features allows us to see which information of the input image is preserved in the features. Applying inverse to a perturbed feature vector yields further insight into the structure of the feature space. 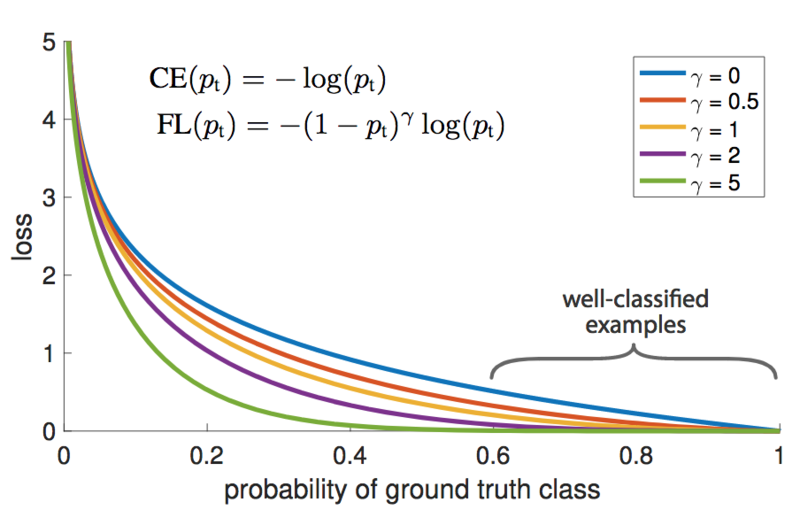 Interestingly, when they discard features in the FC8 layer they found most information is contained in small probabilities of those classes instead of the top-5 activation. This result is consistent with the result of the distillation experiment mentioned previously. These findings suggest that a combination of distributed code and some grandmother like cells may be closer to how CNN features work and might also be how our brain encodes visual inputs. Well, right, nowadays it is just hard not to talk about Deep Learning and Convolutional Neural Networks (CNN) in the field of Computer Vision. Since 2012 when the neural network trained by two of Geoffrey Hinton’s students, Alex Krizhevsky and Ilya Sutskever, won the ImageNet Challenge by a large margin, neural networks have quickly become mainstream and made probably the greatest comeback ever in the history of AI. So what is Deep Learning and CNN? According to the 2014 RSS keynote speech by Andrew Ng , Deep Learning is more or less a brand name for all works related to this class of approaches that try to learn high-level abstractions in data by using multiple layers. One of my favorite pre-2012 work is the deep belief nets done by Geoffrey Hinton, Simon Osindero and Yee-Why Teh, where basically a multi-layer neural network is used to learn hand written digits. While I was still in UCLA, Geoffrey demonstrated this neural network during his visit in 2010. What is interesting is that this network not only classifies digits but can also be used to generate digits in a top down fashion. See a talk he did below for this work. On the other hand, Convolutional Neural Networks (CNN) is a specific type of multi-layer model. 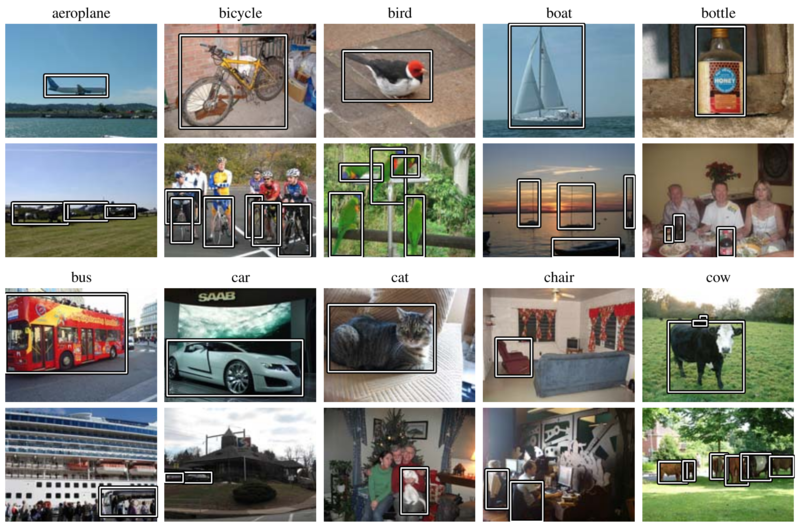 One of the most famous work pre-2012 was on classifying images (hand written digits) introduced by Yann LeCun and his colleagues while he was at Bell Laboratories. 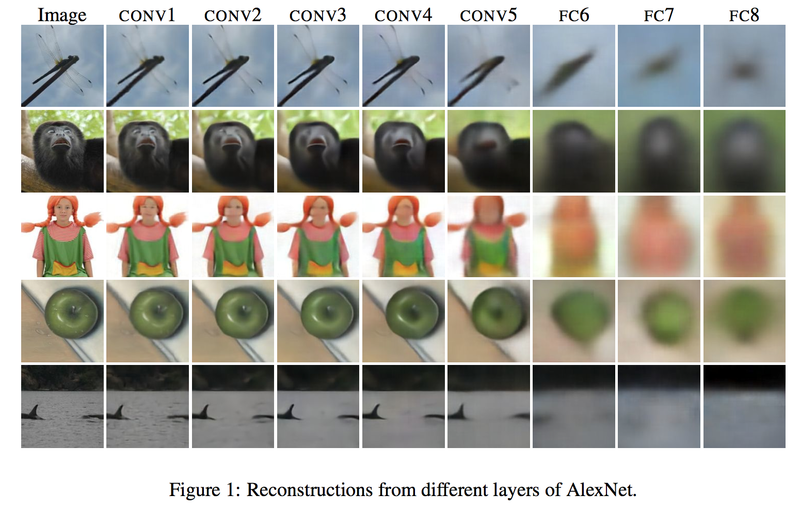 This specific CNN, which is called the LeNet now, uses the same weights for the same filter across different locations in the first two layers, therefore largely reduces the number of parameters needed to be learned compared to a fully connected neural network. The underlying concept is fairly simple; if a filter that acts like an edge detector is useful in the left corner then it is probably also useful in the right corner. Both Deep Learning and CNNs are not new. Deep Learning concepts such as using multiple layers can be dated all the way back to 1975 when back propagation, an algorithm for learning the weights of a multi-layer neural network, was first introduced by Paul Werbos. CNNs on the other hand can also be traced back to around 1980s when neural network was popular. The LeNet was also work done around 1989. So why are Deep Learning and CNN suddenly gaining fame faster than any pop song singer in the field of Computer Vision? The short answer is because it works. Or more precisely, it works better than traditional approaches. A more interesting question would be why it works now but not before? The answer of this question can be narrowed down to three reasons. 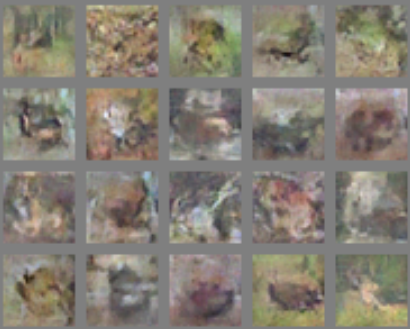 1) Data: thanks to people posting cat images on the internet and the Amazon Mechanical Turk we have millions of labeled images for training neural networks such as the ImageNet. 2) Hardware: GPUs allow us to train multi-layer neural networks with millions of data within a few weeks through exploiting parallelism in neural networks. 3) Algorithms: new approaches such as dropout and better loss functions are developed to help train better networks. Many are excited about this recent trend in Deep Learning and associate it with how our own brain works. As exciting as I am, being a big fan of Neuroscience, we have to also keep in mind that such neural networks are proven to be able to approximate any continuous function based on the universal approximation theory. Therefore a black box as it is we should not be surprised that it has the capability to be a great classifier. Besides, an object recognition algorithm that works well doesn’t mean that it correlates to how brains work, not to mention that deep learning only works well with supervised data and therefore quite different from how humans learn. The current neural network model also acts quite differently from how our neurons work according to Jeff Hawkins, not to mention the fact that there are a large amount of motor neurons going top down in every layer in our brain that is not captured in these neural networks. Having said that, I am still embracing Deep Learning in my own research and will go through other aspects of it in the following posts.